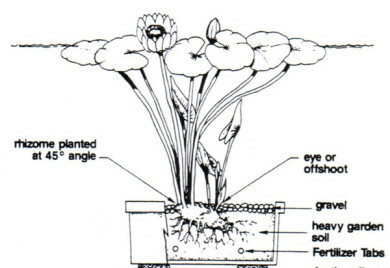 We recommend planting all plants in pots rather than directly in the bottom of the pond. This aids in the maintenance by making the containers retrievable, thus making plant care and pond cleaning easier. All plants do best in at least 5 hours of direct sunlight each day for maximum growth Fertilize free through out the growing season.